Industrial applications for pressure sensitive adhesive tapes range from simple ones like color coding to unique application specific solutions that may be used in a permanent assemblies. Designers and users seek products that suits the specific needs and challenges of their application. Many factors will be considered when choosing a solution. Choosing the correct adhesive and finding the right carrier are the first step. Then one of the most important criteria is consistency. 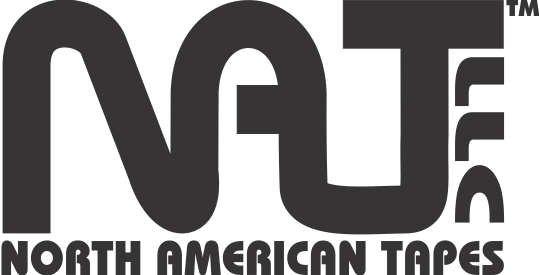 North American Tapes understands that users need products that deliver on consistency from roll to roll, case to case and shipment to shipment. We understand that reliability is a key to customer satisfaction and we built our manufacturing center to deliver. Our precision controlled Calender coating line was built to tight technical tolerances and as a result it gives us a tremendous degree of control from one roll to the next and even one run to the next. North American Tapes is constantly developing new products to meet new challenges of industry. Whether it be to fill a void in the marketplace, to improve an existing product, to tailor a product to suit a customer or application specific requirement or developing an all new product North American Tapes is constantly working hard to meet the needs of present and future customers. North American Tapes produces a variety of of products that suit the needs of many industrial users. With a large selection of multi-purpose tapes we are able to provide solutions for many applications. Products that are used for holding, sealing, color-coding, marking or even as a gasket material for dissimilar metals. 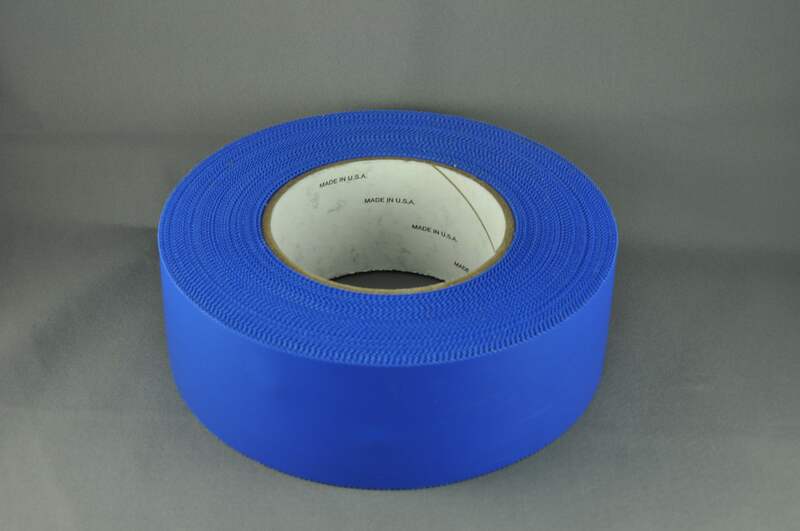 Pol-E-Max Tapes feature polyethylene backings that are available in a variety of configurations and colors. A range of backing materials and adhesives means that there is a Pol-E-Max product that is suitable for just about any application. Most products can are available in a wide variety of colors and all products are available in a wide variety of widths and lengths. Popular sizes and colors are available from stock. Pol-E-Max tapes are ideal products for use in many applications including splicing, color coding, marking and sealing. Pol-E-Max tapes are ideal alternatives to duct tape because they can be hand torn and because the poly backing material is much thicker than duct tape, they offer considerably better water and weather resistance than traditional duct tapes. North American Tapes offers vinyl-coated cloth tapes for a variety of applications. #616 black vinyl-coated cloth features black adhesive, black cloth and black vinyl with a matte finish. It is ideally suited for use on sets in television, movie and stage productions .The all black construction and matte finish blends in with stage and backdrop finishes plus eliminates unwanted glare. The adhesive is strong and stable and will not leave residue when removed from most surfaces. #624 white vinyl-coated cloth features white adhesive, white cloth and white vinyl with a matte finish. It accepts a variety of inks. Widely used in movie production for a variety of applications this product is also used in many other applications for labeling and marking or when a very clean white finish is required. #625 colored vinyl-coated cloth features white adhesive, colored cloth and colored vinyl with a matte finish. It accepts a variety of inks. 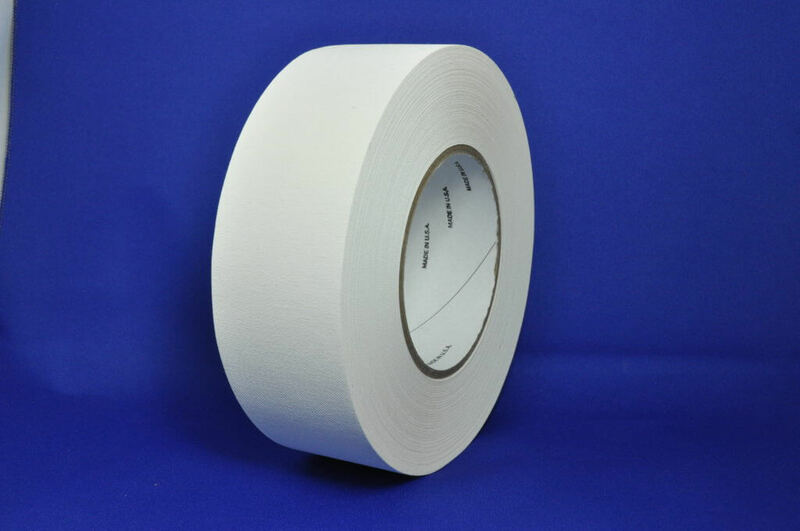 Widely used as a Gaffers tape for color coding and marking applications. #563 Black cotton harness wrap tape is a 100% cotton cloth tape dyed black with a black adhesive. It is wound on small diameter cores for easier application in hand applied situations. #575 Natural cotton cloth is an uncoated natural 100% cotton cloth with a white adhesive that contains zinc-oxide. Commonly used for finger protection tape this tape. #576 Black cotton cloth is an uncoated 100% cotton cloth with a black adhesive that contains zinc-oxide. One typical application is as a harness wrap in machine applied or automatic diispenser situations. #675 White polyester/cotton cloth is an uncoated cloth with a 50/50 construction of polyester and cotton. It has a bright white finish and features an adhesive contains zinc-oxide. This product is similar to #575 above but offers better tensile strength, higher abrasion resistance and a much whiter finish than natural cotton tapes. #676 Black polyester/cotton cloth is an uncoated cloth with a 50/50 construction of polyester and cotton that are dyed to a deep black finish. This product is similar to #576 above but offers better tensile strength and higher abrasion resistance. North American tapes offers double-sided cloth tapes that are used in several applications. Traditionally these tapes are used extensively in Trade and Consumer shows to help keep carpeting firmly in place for the duration of a show yet remove cleanly from both the carpet backing and concrete floors. A difficult challenge indeed with so many variables at play. North American Tapes unique adhesive and coating technology delivers a solution that works. #674 HTLR (High-tack, Low-residue) features the same high-tack adhesive on both sides. This product will provide superior adhesion to both surfaces yet can still be removed cleanly from concrete or carpet after days and days of traffic. We torture test this product with extreme traffic volumes and pressures to ensure that this product will perform above and beyond the call of duty. #674 is supplied with a white polyethylene release liner that is easy to tear by hand and easy to remove from the backing. Even over very long installation runs.